This is a question. 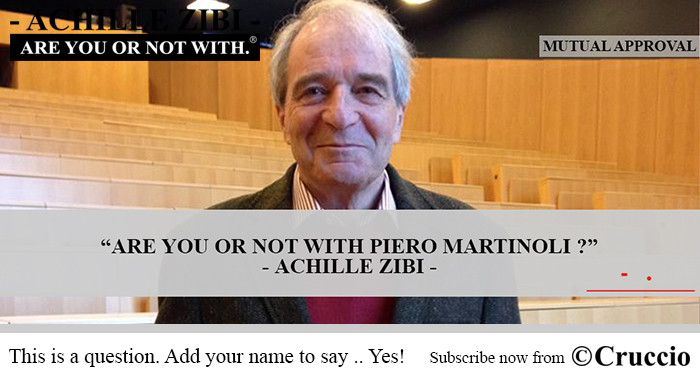 A simple basic question: "are you or not with Piero Martinoli ?" Add your name to say .. Yes! I am with Piero Martinoli. 1 year subscription to Yes! I am with Piero Martinoli. Make A Public Statement: Yes! I am with Piero Martinoli. Mr Piero Martinoli by Achille Zibi. The subscription to Yes! I am with Piero Martinoli., the use of the Internet or this website for communication with the Company or any individual member of the Company, does not establish a celebrity-customer relationship.